You’re engaged! Now what?! You have been through venues online and have set up your tours. To help make this process easier and less stressful, below are the top questions we get asked during tours. Make sure you ask each venue you visit these questions! How many does the room accommodate? 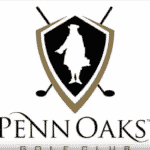 Penn Oaks Golf Club can accommodate up to 250 guests in our Elegant Ballroom with dancing inside. 300 guests is the max capacity in the ballroom, with dancing outside in the tent. For an outdoor ceremony, we have a beautiful white gazebo located in our Rose Garden however Mother Nature is on her own time. In case of inclement weather, ceremonies are held under the tent. 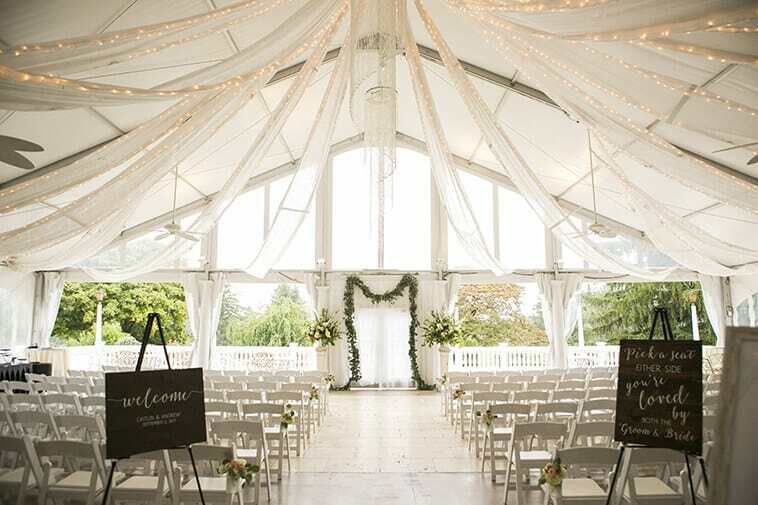 What is great about this back up plan is whatever you had planned to decorate for the gazebo, you can still use for the indoor ceremony! We make sure it is a seem-less transition from ceremony to cocktail hour. We also have a full size generator! You never know what could happen; car accident, wind storm, anything that could possibly knock out the power, we have you covered! All you need to do is count to 10, and the power is restored, including the kitchen. Do you have more than one wedding at a time? The only wedding we hold at a time is yours! We give your our full attention because it is your special day! Who will I be working with to plan my wedding? 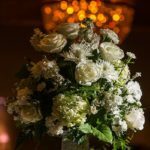 Penn Oaks has 4 wonderful Event Coordinators who will assist you from the moment you book until the night of the wedding! They are with you every step of the way and will answer all questions you have leading up to your day! In addition to your Event Coordinator, our Banquet Manager ensures your wedding goes perfectly through the night! Are there any hidden fees I might run into after booking? All of our pricing is inclusive of tax and service charge! The only fees you may be responsible for are on the “Extra Amenities” page in the packages however we give you all pricing during the tour. There are no room charges or cake cutting fees you need to worry about! 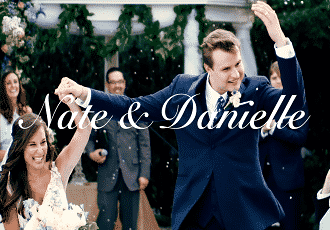 Why should I choose to book my wedding with you? Here at Penn Oaks, we want to give you peace of mind. From the moment you walk in the door we want to treat you like family. We couldn’t be more thrilled that you want to share your special day with us, so we ensure you are taken care of. We know that this is one of the most important moments of your life and we ensure it is everything you have ever dreamed of!